a fully featured bookkeeping program for individuals and small businesses. Your multi-currency financial accounts wherever you are! Imajinacion® by Warby Software Pty Ltd.
A Universal app so you buy it once and run it on all of your iOS devices. Bookkeeping Pro is a fully featured double entry bookkeeping program for individuals, small businesses, micro-businesses, and micro-enterprises; it is not simple expense tracker. The extensive capabilities of Bookkeeping Pro mean that there is no longer a need for an expensive desktop accounting package for many people and businesses. Significantly reduce your data entry time with the iPad version which is optimised for data entry on a larger screen. Bookkeeping Pro has got you covered regardless of whether you have a small business selling products and services around the world, are a contractor providing services, or a jet setting professional that needs their finances in their pocket at all times. 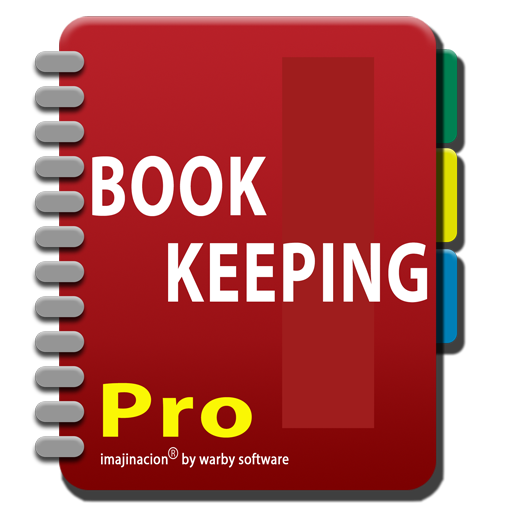 Bookkeeping Pro do not rely on a desktop version or internet based solution to work. Your data is stored safely on the device and not sent anywhere else unless you choose to do so. Bookkeeping Pro supports multiple currency transactions and multi-device synchronisation. Copyright © 2010-2018 Warby Software Pty Ltd. All rights reserved. Imajinacion is a registered trademark of Warby Software Pty Ltd. Apple, the Apple logo, iPhone, iPod touch, and iTunes are trademarks of Apple Inc., registered in the U.S. and other countries. iPad is a trademark of Apple Inc. App Store is a service mark of Apple Inc. MYOB is a registered trademark of MYOB Limited. QuickBooks is a registered trademark of Intuit Inc., or one of its subsidiaries, in the United States and other countries.